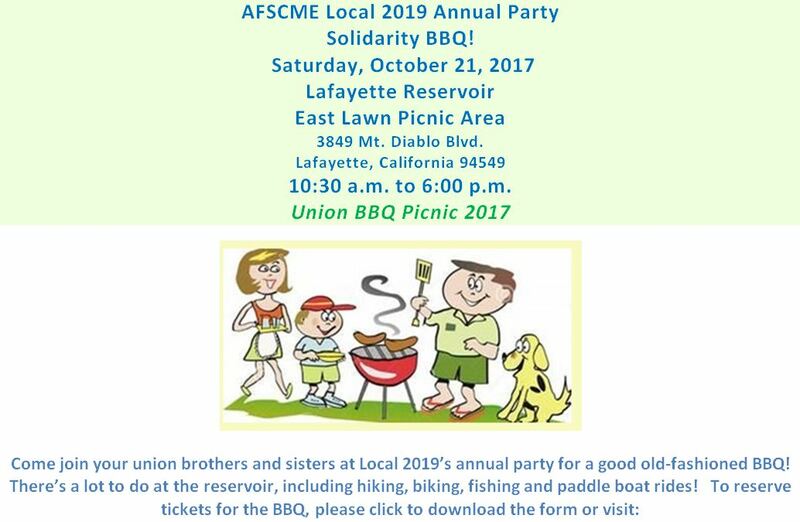 Join Us at the Local 2019 Solidarity BBQ! Please see below for the latest AFSCME Local 2019 Election results. Thank you to all those that participated in the process. 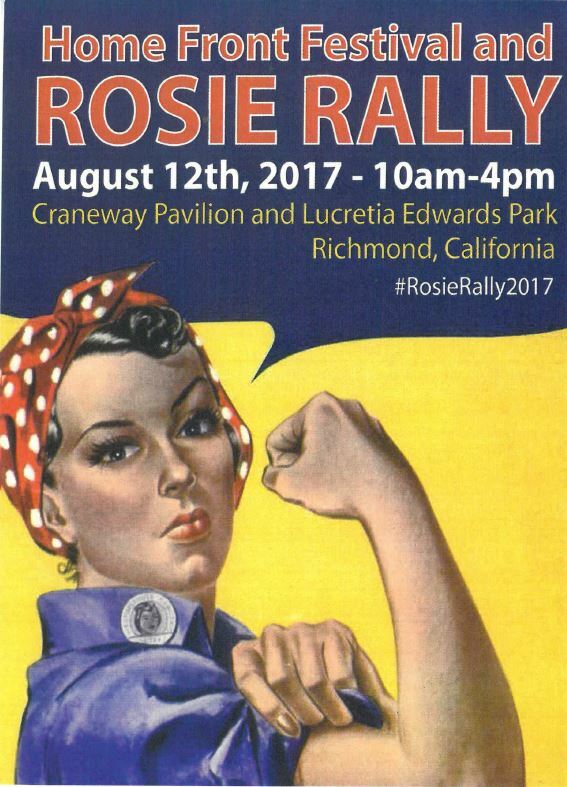 Please click on the image below for information about the Rosie Rally in Richmond on August 12th. And in related news, a WWII “Rosie the Riveter” passed away on April 13, 2017. Please see here for the program from the Celebration of Life for Mary Lee “Peace” Head. 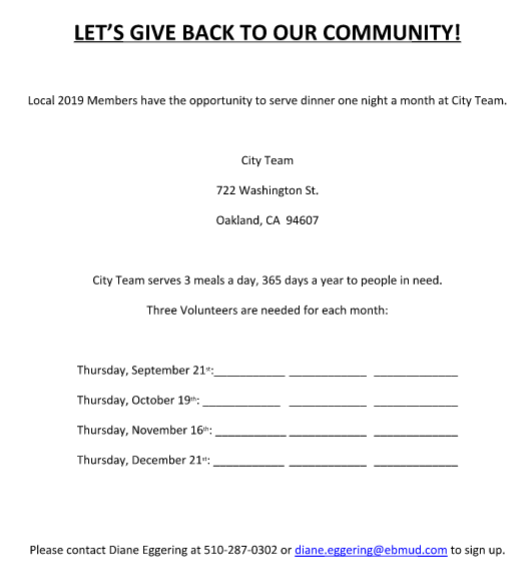 Grab your lunch and a co-worker and join AFSCME Local 2019’s negotiating team members to receive an update, ask questions, and provide your feedback. 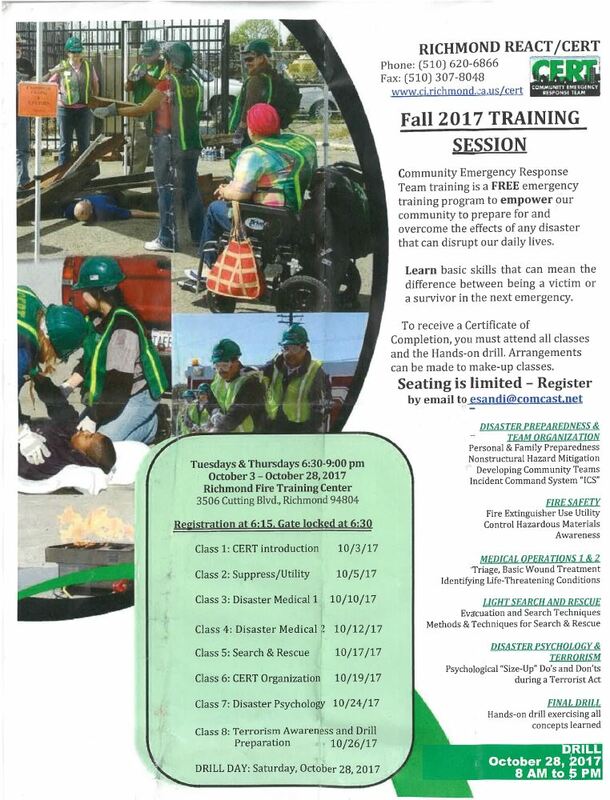 May 16, from 12:30 pm-1:00 pm – Orinda Watershed HQ Conf Rm. 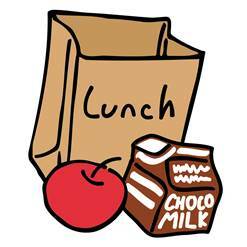 Brown Bags should be attended on your lunch time.